China's last-ditch diplomatic efforts to bring North Korea back to nuclear negotiations appeared on the verge of fizzling out Thursday, as Japan and the United States geared up to push for a tough U.N. resolution sanctioning Pyongyang. Meanwhile, North Korea abruptly pulled out from high-level talks with South Korea, denouncing Seoul for pressing it on its recent missile launches and warning of "unpredictable catastrophic consequences." 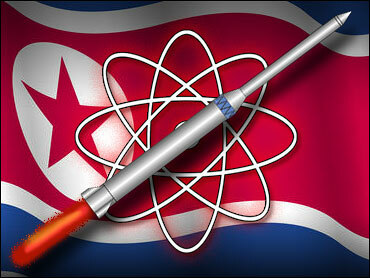 The South said it would freeze aid to the impoverished North as long as it stays away from international nuclear talks. The United States and other backers of a Japanese-sponsored U.N. resolution threatening sanctions against North Korea over its missile tests last week had agreed to postpone a vote to give Beijing time to lobby the North. But North Korea appeared to reject diplomatic overtures by a visiting Chinese delegation. China's U.N. ambassador, Wang Guangya, said the delegation, which will return Saturday, delivered a message from China's leaders expressing concern over the tests "and also what we considered the North Koreans should do to make diplomacy succeed." But Wang said they had not received any feedback. "No one is happy with the fact that the DPRK is refusing to cooperate with anyone else," U.S. Assistant Secretary of State Christopher Hill told reporters in Beijing. "China has really tried. China has really tried to help that country, and so I suspect ... there is a little frustration there." "So far they don't seem to be interested in listening, much less doing anything to address the situation," Hill said of the North Koreans at a separate briefing. Chinese Foreign Ministry spokeswoman Jiang Yu appealed for help from other countries, saying Beijing alone can't draw North Korea back to nuclear talks or stop it from conducting future missile tests. "The effort of China alone is not enough," Jiang said. "We hope all parties concerned can take positive actions and push forward the issues in order to push the situation in a positive direction." Jiang said China was "making active consultations with other parties in the U.N. Security Council to seek a proper solution" to the issue. On Wednesday, China and Russia introduced a rival U.N. resolution to that proposed by Japan that "strongly deplores" the missile launches and calls on Pyongyang to re-establish a moratorium on testing but drops mandatory sanctions, military action and the determination that the launches threatened international peace and security. Hill said "a lot of last-minute pushing and shoving, a lot of last-minute ideas" were natural before a vote. But he expressed confidence that "there will be a very strong, very clear message to North Korea." Pyongyang ignited the furor July 5 by test-firing seven missiles, including a long-range Taepodong-2 potentially capable of hitting the United States. The weapons, which landed in the ocean between the Korean Peninsula and Japan, triggered fresh worries over regional security. Cabinet-level talks between the two Koreas ended a day early Thursday in the South's port city of Busan after the North demanded 500,000 tons of rice in food aid but refused to address the missile issue. A high-ranking South Korean official said North Korea would only get aid if it returned to nuclear talks. "We're going to withhold aid until we see an exit out of this situation," the official told reporters on condition he not be named due to the sensitivity of his position. "As to what the exit is, I think the most important thing is North Korea's return to six-party talks." The North warned its neighbor would "pay a due price" for the collapse of negotiations, claiming Seoul had raised issues unrelated to the forum. The South has been a key supplier of aid to the North, sending rice and fertilizer to help bolster the country's depleted agricultural sector. The North had requested 450,000 tons of fertilizer and 500,000 tons of rice this year, and the South has already shipped 350,000 tons of the fertilizer. Japan demanded a prompt U.N. vote on its proposal for sanctions and possible military action. "There is no change to our view that the resolution incorporating sanctions should be voted on promptly," Chief Cabinet Shinzo Abe said in Tokyo, without giving a deadline. "We cannot be pushed around by intentions to diminish or delay" action against North Korea. Later Thursday, a senior Foreign Ministry official said Japan planned to adjust the wording of its resolution based on the counterproposal, Kyodo news service reported. "What is important is to adopt a binding resolution," said the official, who was not identified. The report did not indicate the nature of the adjustments. Japan's Yomiuri newspaper reported that Tokyo was concerned that two of the missiles fired by North Korea may have been newly developed long-range Scuds that can reach Japan. China, a permanent U.N. Security Council member, has threatened to veto the Japanese resolution, which is supported by the United States, Britain and France. Also Thursday, the commander of U.S. forces in South Korea, Gen. B.B. Bell, called on the South to consider upgrading its missile defense technology in order to meet North Korea's "unpredictable and lethal threat." He said the North has about 800 short- and medium-range missiles targeting the South. South Korea says it plans to buy Patriot interceptor missiles from Germany that are more advanced at intercepting and destroying ballistic missiles, cruise missiles and enemy aircraft.